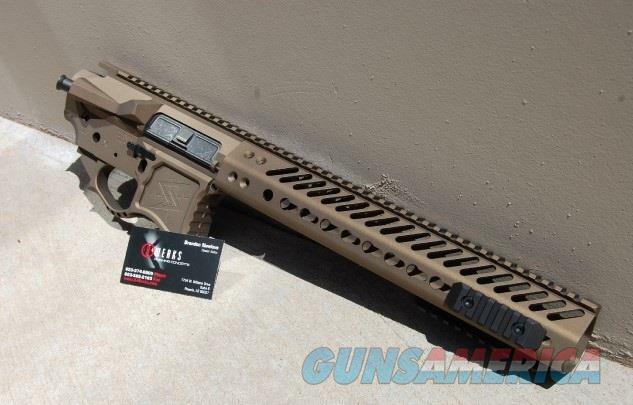 Description: New in box X-Werks Coated Burnt Bronze Seekins Precision Billet SP223 Gen 2 receiver set. Includes the SP223 Gen 2 Billet lower, SP223 Billet upper, and SP3R V3 12" Keymod Forend/Rail. *****Does not include the Keymod rail sections in the photo but can be added for an additional cost at the time of purchase. **** The SP223 Upper includes the dust cover and forward assist. Start your next build today!! Please allow 2-3 business days for items to ship once payment and FFL are received.